Broadcasting regulator slaps SABC radio stations with thousands of rands in fines for breaking election broadcasting regulations. South Africa's broadcasting regulator has fined several SABC radio stations with thousands of rands over non-compliance and for breaking the election broadcasting regulations. The Independent Communications Authority of South Africa (Icasa) fined several of the struggling public broadcasters's radio stations with fines with stations that will also have to broadcast apologies daily to listeners. Icasa found that the SABC's radio stations failed to adhere to the municipal elections regulations during the election broadcast period. The SABC's Afrikaans radio station RSG is fined R50 000 (of which R35 000 is suspended for three years). Metro FM has been fined R5 000 with an apology to be broadcast once a day for five consecutive days. Ligwalagwala FM has been fined R5 000 and must broadcast an apology once a day for five consecutive days. Good Hope FM also erred but the radio station was not found negligent. Ukhozi FM was fined R5 000 and ordered to broadcast an apology once a day for five consecutive days. Meanwhile the SABC has so far failed to provide Icasa with any undertaking that it has changed its policy of censoring scenes of property destruction in its TV news coverage, risking its broadcasting licence. BREAKING. High Rollers on SABC saved from cancellation - for now - but still getting replaced on SABC3 by ... SABC1's Generations. I can exclusively break the news and reveal that the SABC drama High Rollers facing the danger of axing has been saved from premature cancellation - from now - but in another new shocker the local drama series will still be yanked from the schedule and replaced in its timeslot on SABC3 from January by SABC1's Generations suddenly flipping channels. TVwithThinus can reveal that the SABC has now suddenly put its decision to can High Rollers - described as "bizarre" by the South African TV industry - on hold. The SABC backpedaling on its decision to abruptly remove High Rollers from the SABC3 and to just possibly pay out the show to go away, follows a massive public outcry from viewers last week, slamming the SABC over its decision to cancel High Rollers months before its third season contract is supposed to end. The SABC's decision to rid its schedule of the casino-set local drama series - putting cast and crew out of work and income just before Christmas, comes after SABC boss Hlaudi Motsoeneng said multiple times this year that the SABC supports local content and wants more local content on SABC3. The decision to do away with High Rollers led to widespread shock and condemnation directed at the SABC by the South African TV industry at large, including producers and actors saying the SABC is only doing lip service when it comes to ensuring bigger work security and better employment stability for artists working in local TV production. An online petition, started last week to try and save High Rollers on SABC3 and still amassing signatures and comments from very vocal South African viewers as well as people working in and watching television worldwide, seems to have done the trick in staving off the cancellation decision for now. While the SABC is for now not going through with its decision to cancel High Rollers, it is making another shocking move: removing High Rollers from the SABC3 schedule and replacing it with SABC1's Generations from mid-January in its timeslot. According to sources speaking on condition of anonymity to TVwithThinus, "the SABC has agreed to put a moratorium on the cancellation until they meet with the production company". According to insiders, this meeting between Rous House Productions is set for sometime next week. "So everyone waits now," a person familiar with the matter told me. Rous House Productions has so far not spoken publicly after the shocking revelation that the SABC planned to can High Rollers within 30 business days although there's months left on the contract because of "programming strategy changes on SABC3". The SABC, asked about the High Rollers brouhaha, said last week that "the SABC is not in a position to discuss its contractual obligations with production houses and content providers with third parties including the media". In another shocking twist, TVwithThinus can reveal that High Rollers will disappear from the SABC3 schedule from Monday 16 January when it will be replaced by SABC1's Generations on a daily basis at 19:30. The SABC plans 2017 Africa Cup of Nations (Afcon) soccer coverage on SABC1 from 16 January 2017 daily from 17:30 until midnight, and has to move Generations. Oddly, the SABC plans to move Generations - its second biggest show in terms of viewership and a massive ad income generator for the public broadcaster - not to SABC2 but to its smallest TV channel. The SABC recently made the same unprecedented move. In October, and again in November, it moved Generations from SABC1 to SABC3 pre-empting High Rollers - the first time in the history of the SABC that it replaced one locally produced SABC TV soap with another of its locally produced TV soaps due to sport. The triple-whammy result of the SABC move in January 2017 will firstly mean that High Rollers' dedicated daily demo audience on SABC3 will abandon the timeslot and "kick the habit" so to speak to tune in to the show - a daily prime time drama that cultivates habitual viewing and depends on an audience, following an unfolding narrative returning the next day to see more of the story. When and if High Rollers returns to the SABC3 schedule, its falling viewership - as with most of SABC3's sagging audience ratings over the past few months - will very likely be down even more, with the show that will have to start over in trying to lure its dedicated viewer base back. Secondly the move will mean that millions of SABC viewers won't be able to see Generations at all during prime time, since SABC3's terrestrial TV channel footprint is the smallest of the SABC's channels. The smallest number of South African TV households are able to receive the channel. Thirdly the expected loss in viewers for SABC1, people not sticking around since there's no Generations and not wanting to watch African soccer broadcasts that will also be carrying a lesser ad load, will mean less ad income for the SABC1 during January for the cash-strapped broadcaster. StarSat responds about dropping more TV channels, signal loss, FOX Life EPG problems and an open week it couldn't bother to promote at all. With an unending stream of complaints about StarSat in South Africa, On Digital Media (ODM) and StarTimes South Africa answered media questions about the really appalling service levels, bad signal quality and channels once again being culled without people or the media being told about it. StarSat subscribers are furious about the removal of the ZING and Zee Tamil channels and told TVwithThinus they're not getting any answers to their questions about it. StarSat subscribers are irritated that the StarSat electronic programme guide (EPG) for certain channels, like FOX Life from FOX Networks Group Africa isn't working and is out of sync. Again, StarSat subscribers are not getting answers. StarSat also had an unencoded Open Week in South Africa, similar and at the same time as StarTimes elsewhere in Africa. Shockingly, StarSat couldn't bother to publicise or promote this in South Africa to the press at all. StarSat - in its answer - also doesn't know whether it even had it on its own website. StarSat subscribers are also angry over ongoing signal losses, signal quality and not getting channels even when they're paid up with nothing that should be wrong with their subscription. 1. Has the ZING channel been removed from StarSat, several subscribers can't find it. If it has been removed, why did StarSat end the channel, and why wasn't subscribers told? Will the channel be replaced? The ZING channel was removed in November 2016 and will be replaced at the beginning of December by a number of new high quality Indian channels. Subscribers were informed of ZING being removed from the StarSat platform via SMS, Bmail and an email. 2. Has the Zee Tamil channel been removed from StarSat? If it has been removed, why did StarSat end the channel? Why did StarSat not tell subscribers? Zee Tamil channel was removed in November 2016 and will be replaced at the beginning of December by a number of new high quality Indian channels. Subscribers were informed of Zee being removed via SMS, Bmail and an email. 3. A large number of subscribers are angry about signal issues, saying channels freeze, that they can't get signal(s). Why is this happening (yet again) and how is StarSat fixing this and why does it keep on occurring? The issue of customers not receiving signal can be due to many reasons and since we don’t have detail of the error message; our response will address a number of potential issues. The first reason could be due to rain fade, for instance during severe thunderstorms the signal is affected. It could also be due to problems with the installation, the customer should contact the StarSat Call Centre so that the problem can be identified and resolved. 3. StarSat subscribers are angry that the EPG doesn't correspond to what is being shown, for instance the FOX Life EPG doesn't correspond with the channel. Why is this? StarSat had technical challenges on FOX Life EPG which the EPG provider has now resolved. We do apologise for any inconvenience caused. 4.Was there an open week weekend for StarSat where people could view the offering unencoded? If yes, why did StarSat not tell anybody? Yes, StarSat special package subscribers as well as those subs who had disconnected were offered 10 free channels to view during Open week from 12 - 20 November 2016. New Star Trek series, Star Trek Discovery, casts Doug Jones as alien crew member, adds Anthony Rapp as gay Starfleet officer. The latest upcoming Star Trek drama series, Star Trek: Discovery has cast and is finally adding some actors to the now delayed series that's behind production. Doug Jones who will play Lt. Saru as a new alien species Starfleet science officer, and Anthony Rapp has been cast as Lt. Stamets, an astromycologist, fungus expert and Starfleet science officer aboard the starship Discovery. The two actors following the casting news of Michelle Yeoh as Starfleet captain Georgiou aboard the starship Shenzhou that will be another spaceship seen concurrently in the first 13-episode season of the new series postponed from its January 2017 start to now begin in May 2017. 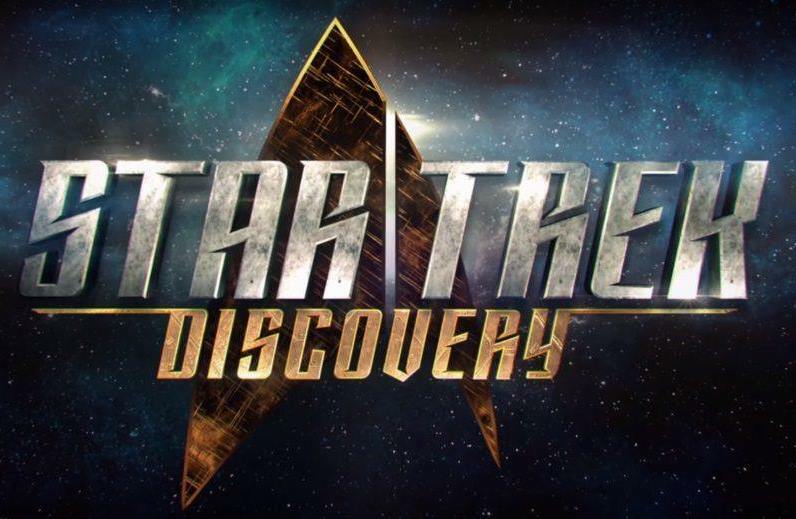 Star Trek: Discovery is months behind and still to cast a British male doctor, a male admiral, a female admiral, a male Klingon captain, a male adviser, an openly gay actor in an as yet unnamed role,as well as the lead character who will be female but not the captain of the starship Discovery. South African viewers will have to watch the series on the global subscription video-on-demand (VOD) service Netflix that grabbed the international rights, meaning that Star Trek: Discovery won't be seen on ShowMax, OnTapTV.com, M-Net or any of MultiChoice's DStv or StarSat's TV channels. With Star Trek: Discovery months behind in production, Bryan Fuller was fired and removed from his showrunner position in October since he didn't devote enough time to the show as he's also juggling other TV series and projects. 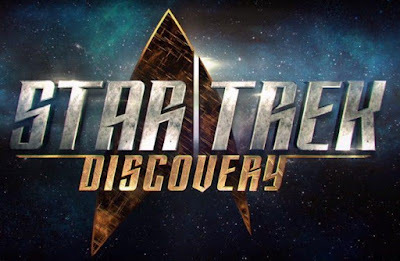 CBS Television Studios is producing Star Trek: Discovery distributed by CBS Studios International through Netflix in 188 countries worldwide, with one episode that will be released on a weekly basis. Sudanese government orders banning and shut-down of private TV channel Omdurman, warns Channel 24 of 'crossing the red lines'. The Sudanese government has ordered the banning of the private TV channel Omdurman Broadcasting Channel and has warned another TV channel, Channel 24, that it has "crossed the red line". The Sudanese authority, Khalil Ibrahim, the director of the Sudanese Public Radio and Television Corporation, who ordered the Omdurman Broadcasting Channel shut-down, falsely claims the channel doesn't have a broadcasting licence. Omdurman announced its TV ban on-air. Channel 24 was also called by Sudan's National Intelligence and Security Service (NISS), warning the TV channel and slamming it for the show Hal El Balad [The Situation in the Country] having "crossed the red lines". Omdurman's owner, Hussein Khogali told Reuters the Sudanese government is lying about it not having a valid TV licence and for ordering it off the air. Omdurman Broadcasting Channel got a TV broadcasting licence 6 years ago but Sudan's government is now further clamping down on freedom of speech in the struggling African country. "This is not true because we've worked legally non-stop for the past six years. The channel has recently included coverage critical of government austerity measures. The purpose of pulling the channel off the air is to silence dissent and we will take all legal steps possible to protect our rights," said Hussein Khogali. In an unsavoury parting gift, former Idols judge Gareth Cliff slams M-Net in his new book, says he went to court to show he is 'unf**kwithable'. In an unsavoury parting gift, the former Idols judge Gareth Cliff is slamming M-Net in his second book that will go on sale on Thursday, casting scorn on the pay-TV broadcaster who paid him to be a reality show judge, writing that he went to court to show he's "unf**kwithable". M-Net fired Gareth Cliff earlier this year as an Idols judge from the 12th season after his social media response on Twitter in the racist Penny Sparrow debacle when he weighed in on the swirling controversy, saying "People really don't understand freedom of speech". After that, saying he's damaging M-Net and "toxic" to the Idols and M-Net brands, the pay-TV broadcaster cut him loose from the show. Gareth Cliff then went to court demanding to be let back on the show and won, with the court that ordered M-Net to reinstate him for the 12th season of Idols that concluded on Sunday night. Gareth Cliff is now gone however from the 13th upcoming season in 2017, with insiders saying there's no love lost between M-Net and Gareth Cliff who also did a local TV talk show previously for the M-Net channel. Gareth Cliff's second book, Cliffhanger: Confessions of a Shock Jock goes on sale on Thursday which he started writing long before the conclusion of the latest Idols season and in which he includes some choice words for Naspers and M-Net about his controversial Idols firing, court case and subsequent re-instatement on the show. In an extract from the 215-page book Cliffhanger, published on Sunday on the day of the live Idols finale, Gareth Cliff doesn't have nice words for M-Net. Several journalists from a broad section of media houses who attended Sunday's live Idols finale described the release of the extract on the same day as the Idols finale as "a distasteful move" and "deliberately detracting from what's supposed to be the show's high point that he himself is in and getting paid for". At the Idols post-win press conference, TVwithThinus asked Nkateko Mabaso, the group general manager for M-Net South Africa, what M-Net and Idols make of Gareth Cliff's comments about M-Net and Idols in his new book, with Gareth Cliff's parting shot awkwardly coming on his last day as part of the show in which he pointedly also slammed the media in his last TV appearance for the "nonsense in the press". Nkateko Mabaso said M-Net has no comment. About the Idols brouhaha in Cliffhanger Gareth Cliff slams M-Net for allowing "a trial by Twitter before the matter was even heard in court" and how his lawyer, Dali Mpofu in the South Gauteng High Court "took shots at Naspers, the parent company of M-Net, chastising them at their cheek in asserting that I lacked empathy for the country when their own record was abominable". While M-Net CEO Yolisa Phahle called Gareth Cliff "toxic" to the M-Net and Idols brands in court papers, he writes in his book "I had interviewed Yolisa Phahle just a couple of months earlier, and I was sure that the ugly things said about me didn't necessarily come from her. She's actually a gracious lady". About why he went to court to be reinstated on Idols when the show didn't want him, he writes that "It was about the important, free conversations our nation needs to have and that were stifled by the outrage of the Penny Sparrow debacle. And it was about showing the loudmouths on social media that I wouldn't be bullied, that I was 'unf**kwithable". In his book Gareth Cliff says "what can and can't a white man say in South Africa in 2016? Some people will advise you to say as little as possible, like the big corporations who don't want to cause trouble with government or the loudmouths on social media. I say that's nonsense. If you're not free to say what you think, you're really not free, even if what you say is wrong". Gareth Cliff who stated his online radio station CliffCentral in May 2014 and writes about being a new media entrepreneur, writes that he wants to live "in luxury and happiness and with as many options as I can exploit at any given time". "Mine will not be a life of suffering or deprivation. There is no nobility in poverty. I want to make myself happy so that there is surplus happiness for everyone else". The SABC couldn't cope with Black Friday as its TV licence server crashed; caused TV retailers losses in sales and TV-set buyers fuming. The SABC couldn't cope with Black Friday last week with the public broadcaster's TV licence validation server that crashed, causing losses of TV set sales to retailers across the country and leading potential TV set buyers fuming and abandoning transactions. Consumers who wanted to make use of special deals on the heavily discounted retail day known as Black Friday was left frustrated by the SABC and decided to abandoned sales and leave, causing losses to shops as the SABC's validation server buckled and was unable to process TV licence validations and issuing of new licences. Consumers who want to buy a TV set and a new SABC TV licence or who want to add another TV set to an existing licence, must validate their TV licence number in shops. The SABC's TV licence server was however not capable with coping on Black Friday and timed out due to capacity problems, leaving consumers and retailers stranded. The SABC said "the TV licence validation server was overwhelmed by the abnormal increase in validation requests from retailers due to the Black Friday deals which resulted in the server timing out between 07:00 and 10:30". "We have upgraded the server capability to cater for the influx of validations and retailers were able to process online validations from 10:45". The SABC said it's "apologising for any inconvenience experienced." Substitute teacher Noma Khumalo wins 12th season of Idols on Mzansi Magic, breaking female winner dry spell after 7 seasons. 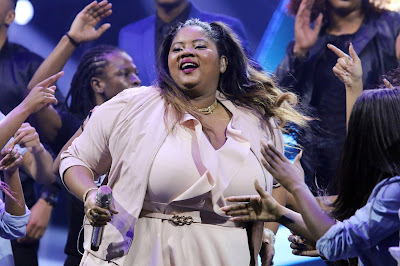 With only 50 000 more votes out of the 14.5 million votes cast last week before Sunday night's live finale, the substitute teacher from KwaZulu-Natal, Noma Khumalo, won the 12th season of Idols on Mzansi Magic (DStv 161) over fellow KwaZulu-Natal rival Thami Shobede. It's the first time in 7 seasons that a woman managed to win the South African version of the singing reality show produced by M-Net, with Idols that is now only broadcast on its Mzansi Magic channel on MultiChoice's DStv satellite pay-TV platform since the 12th season. With record vote tallies - over 83 million votes were cast in total by viewers during the 12th season - and a renewed surge in viewership making Idols the 3rd most watched show on all of DStv by October, Mzansi Magic announced during the live finale that Idols will definitely be back for a 13th season in 2017, with nationwide auditions starting in January 2017. The controversial Gareth Cliff is now also gone from Idols as a judge, slamming M-Net in newspapers on Sunday as a parting gift, with Mzansi Magic and Idols bosses saying they haven't yet whether he will be replaced or whether the 13th season will only have three permanent judges. The Idols live finale on Sunday at Carnival City's Big Top Arena had pyrotechnics, a laser light show and included appearances by artists AKA, Kelly Khumalo and Idols season 11 winner Karabo. Incommunicado from E! on DStv with a trash-bad Mariah's World 'media screening' it can't bother to tell TV critics and key media about - and now everyone loses. This is probably the last time I will cover Mariah's World starting sometime before the end of the year on E! (DStv 124) on MultiChoice's DStv satellite pay-TV platform. And I know now for a fact that some press, TV critics and other journalists will now definitely completely ignore it too. It sadly comes after I already did several stories and kept tabs on the upcoming show. - and with sadly I mean sadly for E!, sadly for DStv, and sadly for me and all other journalists who could have, would have - but now won't. NBCUniversal Networks International that runs E! on DStv apparently had a media screening for Mariah's World for press today but couldn't do the bare minimum to simply actually tell key media about it. NBCUniversal Networks International does pay a PR company in South Africa to publicise its channel brands and shows. Whoever was responsible for today's Mariah's World press screening I don't know I just know it failed in what it's supposed to do and who it's supposed to try and reach by not bothering. If you organise something like a press or media screening, it's really trash-bad to not actually know and communicate and involve the media and stakeholders that supposedly forms part of the key collective press group covering a brand - in this case once again E! Entertainment on DStv that flopped by dissing and angering media over Mariah's World. How this happens, I don't know. Ask James Packer. TV critics and journalists from a wide range of publications and places from Cape Town, Johannesburg and Durban this week sat for literally hours - and I mean hours - in Johannesburg at Sasani Studios to watch the blind audition episodes of the second season of The Voice South Africa that will broadcast in January on M-Net (DStv 101). In stark contrast, NBCUniversal Networks International and E! couldn't even manage to reach out and get the right media for a mere 40 minute preview media screener just a day later. It's sad (and embarrassing) that a TV channel on MultiChoice's DStv has what comes across as amateur hour, SABC-level skills when it comes to promoting content with the press. And again - I don't know who did this and doesn't know or do better, all I know is its bad form and bad (non)communication. I asked the PR company in South Africa that usually communicates with media about E! programming if they knew who organised the Mariah's World press screening this time round, but it was after hours, so I will probably hear on Friday and then try to contact those people. It's incredibly frustrating trying to cover something - in this case television - and have something like NBCUniversal International Networks and E! actually spending money that ends up not promoting and giving good exposure to, in this case a TV show but achieving the exact opposite: a pissed off press. In fact NBCUniversal International Networks is spending money in South Africa on marketing and possible press coverage but are actually causing brand damage and upsetting journalists. The fact is, what E! did today is to spend its money making media and dedicated beat journalists feel negative, fatigued and resistant to what it wants to promote - in this case Mariah's World on E!. On Thursday night I asked several longtime journalists, editors and media if they were aware of a Mariah's World press screening. All but one said no. Say whatever you want, but that is not normal. One longtime and very dedicated journalist covering entertainment and TV actually summed it up the best to me, saying: "It's sad how there's new PR companies that don't invite nor inform key TV media. And then DStv makes it worse by NOT making sure that all key media is invited or that they at least get a press release about this". Basically took the words out of my mouth. With a sigh I say the following - and believe me when I say I'm talking from experience. Media, TV critics, journalists and publications that very likely would have covered Mariah's World - several of whom actually really care - now likely most definitely won't and will actually go out of their way to ignore the show. The other sad thing - also learnt from years of experience - is that a lot of the faux news brigade who show up to sip the sparkling champagne, will end up going back whence they came from and after the pouting Instagram Snapchat selfie at the event. They will make sure they grab a goodie bag because that is what is important, blow air kisses to each their best friends forever - end up doing nothing. Sad, sad, sad and lose-lose all around. If whoever organised the Mariah's World media screening doesn't care, why should a writer and journalist covering TV? There's constantly a barrage and ever-growing pile of new TV and shows to watch that TV critics and media struggle to try to get through. Some of the people who make those shows, try to break though the clutter and noise, spending money, energy and effort trying to get some attention. In this TV critic's case, E! on Thursday spectacularly failed with Mariah's World - and I know with several other media - who will keep smiling with a French court facade and rather die before being outspoken and admitting that that they know and that Mariah Carey's show in their minds just went to yesterday's news like SABC1's umpteenth rebroadcast of 'Sgudi 'Snaysi. Yes. E! and Mariah's World did manage to get my attention today. But not for what would have been win-win reasons. Instead, almost everybody end up losers. Just like Glitter. Is the SABC's cancelled High Rollers on SABC3 going to jump to a rival broadcaster like e.tv or M-Net after its 'bizarre' dumping? Viewers are saying they will follow High Rollers, that the SABC wants to dump prematurely before the end of its third season contract, to e.tv or M-Net – a possible move that will further weakening the ratings challenged SABC3 should a rival broadcaster take over the prime time local drama series. The South African TV production industry, viewers and artists are shocked at the SABC's bizarre decision to can the casino-set local drama series from Rous House Productions months before it's supposed to end. The SABC's shock cancellation puts the cast and crew of High Rollers out of work just before Christmas. The South African public broadcaster's shocking move comes despite SABC boss Hlaudi Motsoeneng repeatedly doing lip-service in 2016 that the the SABC values local content, is upping the local content quota for SABC3 to 80%, and that he is spearheading the charge for greater job security as well as better and longer contracts for struggling local actors and artists. An online petition (found here) started to save High Rollers from SABC cancellation keeps adding signatures and a flurry of comments from angry viewers, upset artists and production workers across South Africa, slamming the SABC for its shortsighted and the as yet unexplained move. Insiders are now saying that the SABC is allegedly readying a massive pay-out for the remainder of High Rollers’ contract that would have stretched well into 2017. It means that the SABC will be paying out and wasting a large amount of money, not getting local content in return for it, and paying to not show a local series it signed a contract for and now wants off the SABC3 schedule prematurely. In May the SABC renewed High Rollers for a third season of 156 episodes and extended it from three to five episodes per week but now wants it gone. The SABC, asked about its plan to cancel High Rollers cancellation, said "the SABC is not in a position to discuss its contractual obligations with production houses and content providers with third parties including the media". The Independent Producers Organisation (IPO) that says it represents, protects and promotes the interests and needs of producers, declined to comment when asked and didn't publicly want to voice support for the High Rollers production. The South African Screen Federation (Sasfed) says the SABC's move wanting to cancel a contract prematurely "establishes a very dangerous precedent". The South African Guild of Actors (SAGA) says the High Rollers cancellation will have a "profoundly negative impact on the production company and the 103 members of cast and crew" and that SAGA is deeply concerned that the SABC is willing to cancel production contracts before their scheduled prescription. The broad-based public pressure group SOS Coalition, fighting for better public broadcasting in South Africa, told TVwithThinus on Thursday that "it's very unclear, much like most things SABC,under what circumstances the contract is being prematurely terminated". "However, in light of the radical and continued decline of SABC3's audience share, it appears that the may be linked to the devastation that the entirely unplanned for 90% local content directive issued by Hlaudi Motsoeneng has wreaked on the SABC's TV and radio offerings generally, and SABC3 specifically". 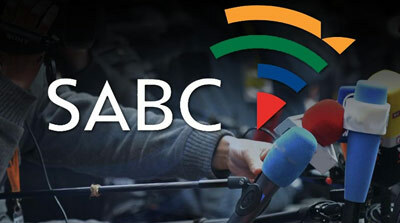 "Ours is not a position against high local content thresholds across the full range of offerings on the SABC," says the SOS Coalition, "but about sound planning, the shaping of a strong business case for all content produced for and by the SABC,to ensure that the organisation remains viable and sustainable in what is becoming an increasingly hostile industry". "Unfortunately, in light of the arbitrary decision-making at the highest levels, purging of skilled staff, the unlawful writing off of the commissioning protocol and seeming award of commissions to pals, it doesn’t appear as though there is much leadership in the SABC at a point where it is needing it more than ever," says the SOS Coalition. New lease on TV life elsewhere? If the SABC goes through with abruptly removing High Rollers within the next month from the SABC3 schedule, the possibility exists that the show could jump to rival broadcasters like e.tv or M-Net in 2017. Producer brothers Luke and Josh Rous struggled for four and a half years to finally get their well-received show accepted by the SABC but with the public broadcaster that doesn't want it anymore, e.tv or M-Net could possibly take it over. M-Net has broadcast similar type shows to High Rollers in the past – like the drama series Jacob’s Cross that's been seen on both the SABC and M-Net. High Rollers would also be a local drama take-over coup for e.tv that's been steadily investing in more glitzy dramas with high-end production values that would make sense for its own schedule. "High Rollers is a great production," said outraged viewer Sphesihle Khumalo. "Please do not take away South African content that we can actually relate to and enjoy". "I will actually consider cancelling my SABC TV licence if this show is removed," said Rianette Cluley. "It's one of the few good local offerings. Hope e.tv snatches if up if it is cancelled". "If the SABC goes through with this, I hope it is picked up by e.tv" said Michael Harris. "This is the only decent show left on SABC3 after Days of Our Lives was taken off," said Penny Kemertgoglou. "If the show is cancelled, I will never watch SABC3 again. Neither will I pay my TV licence”. TV biz aghast over SABC's dumping of local drama series High Rollers, sharply criticises SABC for 'bizarre' cancellation decision. South Africas TV industry is reacting with shock over the SABC's abrupt decision to suddenly cancel local drama series High Rollers before its contract ends with insiders now saying the SABC is readying a pay-off pay-out for the production – ironically wasting millions of rand not to air a local show. Shock and outrage is growing within South Africa's TV industry over the way the SABC plans to suddenly axe High Rollers on SABC3 within a month. 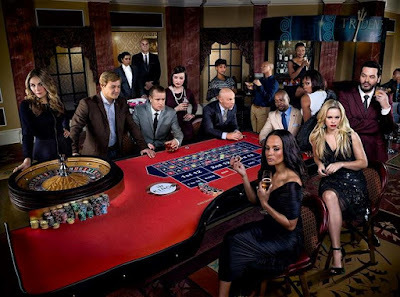 Ironically the SABC renewed the casino-set local drama in May for a third season and increased the episode order of 156 episodes from three to five episodes per week. According to production sources not directly connected to the show but dealing with the SABC, the South African public broadcaster is now allegedly planning to pay out Rous House Productions fully for the remainder of their contract, "so four months' salary for cast and crew". If true, it means that the SABC will essentially be spending a vast amount of money for nothing in return just to not broadcast a local show it commissioned and had renewed twice. Rouse House Productions didn't respond to a media enquiry asking about the cancellation and the newly surfaced pay-out rumours swirling, and the SABC told TVwithThinus earlier that "the SABC is not in a position to discuss its contractual obligations with production houses and content providers with third parties including the media". Following viewers' outrage and an online petition against the SABC's shock High Rollers’ cancellation where signatures and support keeps growing, as well as scorn from South African actors hammering the public broadcaster over its decision, representative TV industry bodies are also slamming the SABC over the "bizarre" cancellation decision. "This unilateral decision made by the broadcaster has to be challenged, there is simply too much at stake not only for the countless crew members and the company in question, but also the wider industry, this establishes a very dangerous precedent," the South African Screen Federation (Sasfed) told TVwithThinus in a statement. "Any going business concern has to have a degree of predictability to be able to plan and survive, with our major broadcaster not willing to honour legally binding contracts, such contracts become meaningless adversely affecting our emerging industry". The South African Guild of Actors (SAGA) told TVwithThinus High Rollers’ cancellation "will have a profoundly negative impact on the production company and the 103 members of cast and crew". "Many actors on the show, including SAGA members, have given up other possible earning opportunities in order to commit their time to High Rollers. Having the rug pulled out from under their feet like this means they will face the prospect of a very bleak Christmas." "SAGA is deeply concerned that if the SABC is willing to cancel production contracts before their scheduled prescription, then nothing prevents the broadcaster cancelling other existing production contracts at an even greater expense to the taxpayer." "The impact of this cancellation will therefore be felt throughout the industry and will add to speculation that responsible and competent leadership at the state broadcaster has been compromised at its highest levels." SAGA says "the decision to cancel High Rollers which has earned a loyal following on SABC3, seems quite bizarre. In announcing their intention to cancel the show, the SABC has demonstrated a reversal of its own much-publicised commitment to developing local content." A longtime producer working on shows for the SABC and other broadcasters, told TVwithThinus that "while in America contracts specifically feature the right to cancellation at specific stages if the ARs (audience ratings) of a show are not adequate, I have never seen such a clause in a SABC contract". "As such, unless the producers are specifically in breach of elements of their contract, the SABC has no right to terminate the production. And even if there is a ratings clause which permits cancellation, one wonders why the same is not happening to Hlaudi Motsoeneng's crap commissions." "If High Rollers is cancelled now, the SABC will have to pay for all work done and contracted until the final day of the notice period, which will be more money thrown out of the window as the SABC will never be able to use or air any of that work," said the veteran producer. While the ratings for High Rollers has fallen since May when Hlaudi Motsoeneng abruptly ordered a quota of 80% local content for the channel – a plan that flopped – the viewership decrease for the show is in line with the entire SABC3 viewership that keeps spiralling down month after month since the introduction of the new crop of local shows that all failed to attract viewers. 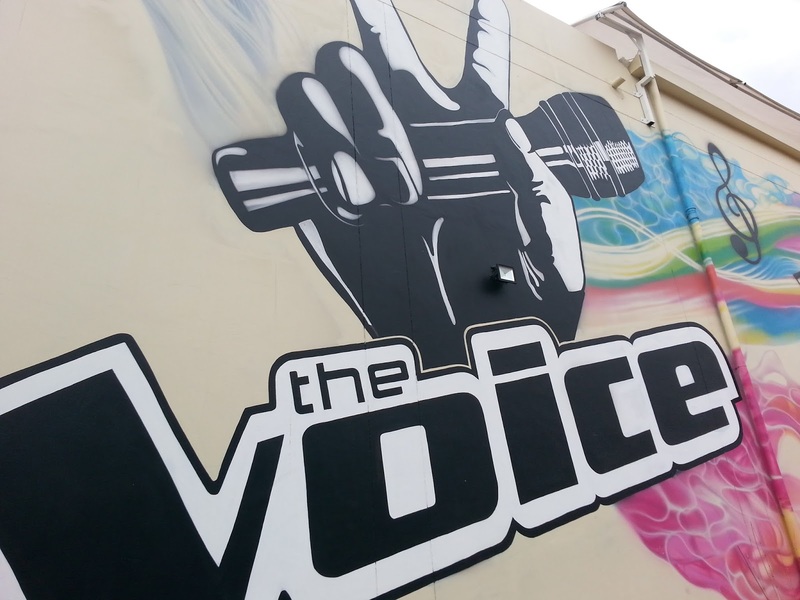 All 4 coaches of The Voice South Africa on M-Net back for the bigger, even better and extended second season. All four coaches of The Voice South Africa on M-Net are back for the second season with Bobby van Jaarsveld, Lira, Karen Zoid and Kahn Morbee who are all once again swiveling in their red chairs to find South Africa’s undiscovered singing talent. The blind auditions for the second season kicked off on Tuesday evening at Sasani Studios where the show is filmed, with all four coaches back in their red seats and listening to and picking talent for their teams. The second season of The Voice South Africa will start on M-Net (DStv 101) on 29 January 2017 with several surprises for viewers. Viewers can get ready for bigger and better in the second local season of the TALPA format show. That goes for the various The Voice SA sets used during the blind auditions, battle rounds and weekly live shows and finale, but also the actual show itself: the episode order has been increased. In the second season viewers will have more time to actually follow and enjoy the show and to hear the singers compete with a season that will span a longer time frame. It will include more performances and several other surprises that M-Net says will increase the fun viewers will have watching the upcoming season. The Voice South Africa roared back on Tuesday night’s first blind audition evening in Johannesburg with several singers who got standing ovations from the often surprised studio audience and the coaches fighting each other to try and secure them for their teams with simply-can’t-help-himself chair hopper Bobby van Jaarsveld back in top form. Recordings for the blind auditions continue this week with Lungile Radu back as the presenter and Stacey Norman interviewing the contestants backstage. South African artists - actors, crew, producers - blast the SABC for 'unprecedented' decision wanting to cancel local drama High Rollers on SABC3. The SABC has been put on full blast by South African artists working in the TV biz, slamming the public broadcaster for wanting to cancel the SABC3 prime time drama High Rollers after boss Hlaudi Motsoeneng constantly said the SABC is supporting local productions and artists. The South African TV industry is reeling with shock after SABC3 told Rous Hous Productions it wants the casino-set, local prime time soap currently in its 3rd season, off the air within 30 days – even though the production has a much longer contract for more episodes. A longtime and respected veteran TV producer not working on High Rollers and speaking on condition of anonymity so as to not damage existing and future business relations with the SABC, called the SABC's shock decision "unprecedented" and "unheard of". The producer told TVwithThinus that "cancelling a contract for a long format production without valid reason and without due notice and the chance to correct what is wrong is unheard of in the industry, and reeks of a purge of local English programming by Hlaudi". "A sudden cancellation with 30 days' notice is also unheard of, especially as long format series usually script and shoot 2 to 3 months ahead of broadcast." "I would advise all agents, writers, actors and crew along with the producers to do a class action suit or individually sue SABC for breach of contract, as the creatives and crew have been contracted by the production house for a full term of work, which the production house is now forced to break because SABC has breached the terms of its contract with the production house," said the producer. "An unexpected cancellation like this is absolutely devastating for writers, actors, crew and their agents," said the producer. "Once a contract is signed, that money becomes absolute and is used to keep a roof over the head, food on the table and children in school. Take it away two thirds of the way through the contract, and you leave some 150 workers and their families destitute. And there is a real chance that it could ruin the production house and force it to close its doors." The SABC's shocking move to abruptly dump High Rollers comes after it actually increased the number of High Rollers episodes screened per week and moved the show's timeslot from 20:30 to 19:30. In May High Rollers was renewed for a full third season of 156 episodes on SABC3 and extended from three to five episodes per week. Hundreds of South African viewers have since signed an online petition signed an online petition that was started here to try and save High Rollers from cancellation – already setting a South African TV record for the most people signing to keep a canned local programme on the air in the SABC’s 40-year TV history. While the ratings for High Rollers has fallen since May when Hlaudi Motsoeneng abruptly ordered a quota of 80% local content for the channel – a plan that flopped – the viewership decrease for the show is in line with the entire SABC3 viewership that keeps spiraling down month after month since the introduction of the new crop of local shows that all failed to attract viewers. Ironically it’s highly unlikely that replacement new programming stripped in the 19:30 timeslot will yield SABC3 higher ratings than High Rollers that has an ongoing daily narrative it's replacing; and new shows – often having to build from scratch instead of having a dedicated audience – also often cost broadcasters more than existing shows. The SABC was asked why it wants High Rollers cancelled before the end of its contract that will leave hundreds of cast and crew out of jobs just before Christmas, why the SABC wants out of a show only two thirds through its latest contract, and if the SABC is concerned about the message it's sending when it cancels a local show while saying it wants more local content for SABC3. SABC spokesperson Kaizer Kganyago told TVwithThinus in response "the SABC is not in a position to discuss its contractual obligations with production houses and content providers with third parties including the media. If there is anything to be communicated to the production house or the public, the SABC shall do so accordingly". Industry representative bodies like the South African Screen Federation (Sasfed), the South African Guild of Actors (SAGA) and The Independent Producers Organisation (IPO) are aware of the SABC's intent to yank High Rollers before it’s existing contract has expired but have not yet commented publicly. Meanwhile South African artists – actors, crew and people working on, and who have worked on the show – are slamming the SABC and publicly voicing their support for the show. "The SABC needs all the quality stuff it can get," said actor Craig Urbani while Des Lindberg said "the public broadcaster should serve the South African public. It is not doing this". Actress Mbali Hlatshwayo said the "SABC is taking people for granted, it can't cancel High Rollers". Cast members Justin Strydom said the SABC has acted in bad faith and Vilje Maritz said "it's wrong an unethical". Former crew member Mandisa Moffat says "the very abrupt cancellation of this show will leave many good people suddenly jobless, and so many fans hanging mid-story". Former cast member Motlatji Ditodi said "the cancellation is very confusing and criminal in nature, as people's livelihoods will be stolen from them". Nico Panagio said "the cast, crew and producers of High Rollers are brilliant pioneers" and that "their work should be celebrated, revered and visciously protected". "The SABC has no regard for our industry,” said Ilse Klink. "Contracts were signed, this is an illegal move by the SABC. Stop taking the arts for granted. People’s livelihoods are at stake". "I'm an actor myself and justice needs to be done," said Hykie Berg, while artist Sive Matiwane said "it is high time this country respect our profession". Actress Anel Alexander said "the actions of the SABC is hindering any possible growth. This is one of the very few local, high quality programmes on their channel. We should be fighting to keep this home-grown content on the air". "I got my big directing break on High Rollers," said Tebogo Mkhabela. "It's a great show". "My fellow filmmakers don't deserve to lose their jobs like this," said Toby Harris. Petition started to save cancelled High Rollers on SABC3 as producer slams SABC for being ‘unjust and wrong’ over canning the primetime soap. Angry viewers have now started a petition started a petition to try and save SABC3's cancelled prime time soap High Rollers while the show's producer, fighting to keep the show on the air, is slamming the SABC's decision to can the show as "unjust and wrong". The SABC abruptly decided it wants High Rollers off the TV channel's schedule, mid-contract, within a month – despite having said repeatedly this year through SABC boss Hlaudi Motsoeneng that it supports local content and more local programming for SABC3. The producers and large cast and crew of High Rollers, currently in its 3rd season, are shocked while the SABC has so far not responded to media enquiries about the show's sudden cancellation notice coming just weeks before Christmas. Executive producer Luke Rous from Rous House Productions is slamming the SABC's decision to dump High Rollers as "unjust and wrong", saying "we love making High Rollers, we are two-thirds of the way through our signed contract and we want the SABC to honour the commitment they have made to us". Viewer Raeesa Khan from Durban has now started an online petition over the weekend to save the show, begging the SABC not to can High Rollers, with hundreds of viewers who have already signed the petition. "The SABC has been making some really stupid decisions, the latest being their sudden announcement to cancel the local television show, High Rollers," says Raeesa. "This show is one of the most popular local programmes and cancelling it would be the biggest mistake the SABC could make at this point in time. It’s about time that the viewers' opinions are taken into consideration". Furious and upset SABC and SABC3 viewers quickly flooded the petition with their comments of vote of support. "What will be left of SABC3? We want High Rollers to stay," said Amone Robbertze, with Sarahann Du Plooy saying "I think the mismanagement at the SABC is unacceptable. Actors and producers are in South Africa deserve a fair chance to create a future for themselves". "I support the SA TV industry and I believe this would negatively affect it and many people involved," said Frances Hepburn. "It's a good show and employs and empowers many South African families," says Thabi Gumede who already signed the petition. "The SABC will be making a very rash decision by cancelling High Rollers. It will have a massive impact on the crew, actors and producers who will all be without jobs. It's not fair," noted Rozanne Bishop. High Rollers that was launched in April 2013 was renewed for a full third season of 156 episodes in May this year and extended from three to five days per week, with the SABC no longer calling it a telenovela but a prime time weekday soap. After the production company with producing and directing brothers Luke and Josh Rous, struggled for four and a half years to finally get the show on the cash-strapped SABC in 2013, the SABC now suddenly wants High Rollers with its large ensemble cast gone and cancelled – within 30 days. While the ratings for High Rollers has fallen since May when Hlaudi Motsoeneng abruptly ordered a quota of 80% local content for the channel, it is in line with the entire SABC3 viewership that keeps spiraling down month after month since the introduction of new local shows viewers have made clear that they don’t want to see. High Rollers is however fighting back against the SABC’s shock decision that will leave actors and crew without jobs and income to support their families by Christmas. Production company Rous House Productions says "the SABC have signalled their intent to cancel High Rollers within 30 business days" and was told the SABC is taking the decision "based on programming strategy changes on SABC3". "Rous House Productions does not agree with the SABC's cancellation letter". Rous House Productions in a statement says that it's working with the SABC to try and "resolve this matter." High Rollers' large ensemble cast includes local stars like Anthony Coleman, Thapelo Mokoena, Terence Bridgett, Hayley Owen, Jai Prakash, Vilje Maritz, Thishiwe Ziqubu and Thishiwe Ziqubu.